This was the first budget statement delivered on a Monday since 1962, and the last budget delivered before the UK officially exits the European Union. Ahead of the budget, Theresa May had proclaimed ‘austerity is over’, however yesterday Hammond suggested May was slightly premature as he instead commented ‘austerity is coming to an end’. And whilst we may not be quite there yet, all the economic data does suggest we’re going in the right direction. 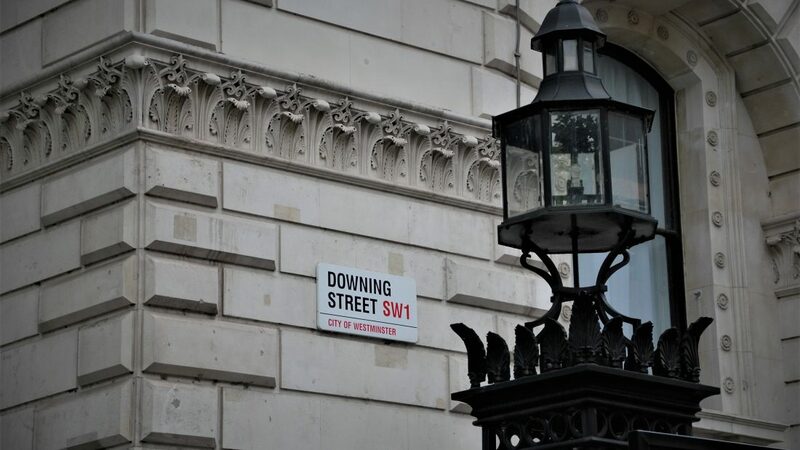 The Office for Budget Responsibility raised its economic growth forecast for 2019 to 1.6%, an increase of 0.3% from the forecast made in the Spring Statement. It also upped its medium-term expectations, upgrading its 2019 and 2020 forecasts from 1.3% to 1.4% respectively. The following two years were upgraded to 1.5% and 1.6%, respectively. In addition Hammond said he expects borrowing this year to be £11.6 billion lower than forecast in the spring statement and at just 1.2% of GDP would be down to its lowest level in in more than 20 years by 2024 at £19.8 billion. There was positive news for health, social care, and schools amongst other national services as the Chancellor vowed to use the positive news to increase public spending. In particular there was a big focus on supporting mental health. However despite an extra £20.5bn for the NHS over the next 5 years and one-off £400m bonus for schools, many will argue this is still not enough. A budget statement for Brexit? To help fund the spending Hammond announced the introduction of a digital services tax from April 2020, which is expected to raise £400 million a year. Whilst many feel this is long overdue, and that was made very clear by the opposition, the timing is particularly questionable. With Brexit on the horizon and the concern about such companies exiting the UK, it will be interesting to see how this one plays out. At the same time Hammond said he will demonstrate that ‘Britain is open for business’ after leaving the EU, by raising the annual investment allowance from £200,000 to £1 million from 1 January 2019, a move the British Chamber of Commerce has been lobbying for. There have been signs that Brexit has led to businesses putting off their investment decisions, but this should encourage businesses to keep investing. What’s more Hammond has increased the use of e-tickets with countries such as America, Australia and China – clearly showing trying to show how we will have greater global opportunities after Brexit. Continuing on the subject of Brexit, the Chancellor has added a further £500k towards Brexit spending for next year. So onto the changes that will impact most of us. The big news here was the increase in the personal allowance to £12,500 and the higher rate threshold to £50,000. It is estimated that 30 million UK tax payers will be better off as a result. At the same time there is tightening for the self employed, with the Chancellor eager to cut down on perceived tax avoidance measures. In another headline grabbing giveaway, Hammond announced the National Living Wage is set to rise from £7.83 an hour to £8.21 in April 2019. The government estimates the increase will affect around 2.4 million workers over the age of 25, representing an annual pay rise of £690 for a full-time worker. Capital gains tax (CGT) relief will be limited to prevent it being used by owners not using their homes as main residences. From April 2020 we will limit lettings relief to properties where the owner is in shared occupancy with the tenant and reduce the final period exemption from 18 months to nine months. On the subject of property, relief is to be extended to first time buyers in shared ownership properties up to £500K. Relief is to be retrospectively applied to 22 November 2017 (the date of the 2017 Autumn Budget). A big relief was the announcement that there is another freeze on fuel duty. Given the price of oil right now, that benefit should not be overlooked. There was also a freeze on beer, cider and spirits duty. Wine however will not be frozen, and a bottle will go up by 8p from February next year. If you smoke cigarettes it is also bad news as a packet of 20 will go up by 33p. Our Managing Director, Stefan Fura has recorded a short video sharing his thoughts. Overall it was a very positive budget. Much will be talked about the ‘great giveaway’, and for once the talk was of spending rather than scrimping and saving. For the majority the budget will see people better off. The real key point however still remains, Brexit negotiations. For as positive as yesterday’s budget has been, the Chancellor has warned that a further budget may be required post Brexit. If Brexit doesn’t go to plan, we could see all the positivity of yesterday undone.